When it comes to cannabis strains, few have as many unique qualities as Waikiki Queen Feminized. While you may not hear about this one as often as you do the most popular, you are missing out if you didn’t see what it has to offer. We are pleased to make it possible for you to buy Waikiki Queen Feminized seeds from us for a great price. We always offer exceptional quality too so you can feel confident with anything you buy from our seed bank. The parents of Waikiki Queen Feminized marijuana seeds are White Queen and Hawaii. This is a Sativa hybrid for those that are experienced with using cannabis. The THC level is very high and the buzz is going to hit like a truck! Therefore, it isn’t the ideal form of cannabis seeds for someone new to using such products to try. You need to build up to something as amazing and powerful as Waikiki Queen Feminized first! It isn’t uncommon for Waikiki Queen Feminized marijuana seeds to be referred to as the happy strain. It is going to help boost your mood and give your body more energy. It is best to use this form of cannabis early in the day. It can keep you awake at night if you use it too late in the day. The taste is like tropical fruit and very sweet. It has a sweet smell to it that delightful, adding to the reason so many buy Waikiki Queen Feminized plants from us to grow their own plants. You don’t need lots of Waikiki Queen Feminized plants either as each of them is going to offer you an amazing yield! 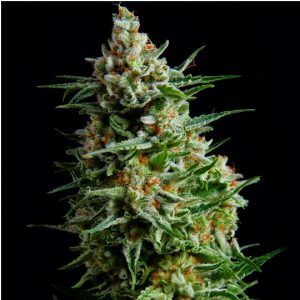 The buds are dense but they are able to hold a great deal of the resin for you to harvest. You can expect about 1150 grams per square meter when you grow Waikiki Queen Feminized marijuana plants outside. It will be a bit less if you choose to grow your cannabis seeds inside. Your plants will be about 90 cm high indoors and up to 250 cm outdoors. We will provide you with our grower’s guide so you know exactly what to do with your Waikiki Queen Feminized cannabis seeds for the best results. Remember, our support team is always here too for you to count on if you need answers to anything long the way. We do encourage you to use fertilizer with the easy to grow Waikiki Queen Feminized marijuana seeds though. This can increase your overall yield by about 30%. How well your Waikiki Queen Feminized cannabis seeds are going to grow also depends on what you buy and where you buy them. You can always expect the top quality from our seed bank, and you shouldn’t settle for anything less from other providers either. We work with the best breeders directly so we can offer you top quality but also keep the prices affordable. We love being able to offer the best seed bank around for our customers. We offer more than 100 types of cannabis seeds for you to choose from. Regardless of where you live, we are happy to send the Waikiki Queen Feminized marijuana seeds to you. We ship around the globe and we can have them to you in 21 business days or less. We always send them registered mail and we use packaging that completely hides what is inside. No one who sees your package or gets it delivered to you will know what is inside of it. If you struggle with chronic fatigue or your day just has too much to accomplish, you may feel sluggish. You can use Waikiki Queen Feminized seeds to boost your energy levels. It is going to help your brain focus and stay on taste. It is going to help you stay motivated as the day proceeds. Your Waikiki Queen Feminized cannabis seeds are going to be ready to harvest between 10 and 12 weeks. If you let them go to the end of the flowering time, the taste will be better and the yield will be higher. Don’t be in a rush to harvest and reduce what you get because you couldn’t be patient for a few more weeks. If you grow Waikiki Queen Feminized outdoors, plant accordingly so they are ready to harvest in September or October. The THC level of Waikiki Queen Feminized marijuana plants are about 24% so you don’t need much of it at all to get an amazing high!